Usually they’re contemptible scars on the urban fabric, like the eye-popping piece of work in the photo above at 2nd and Union in Seattle. But they don’t have to be. 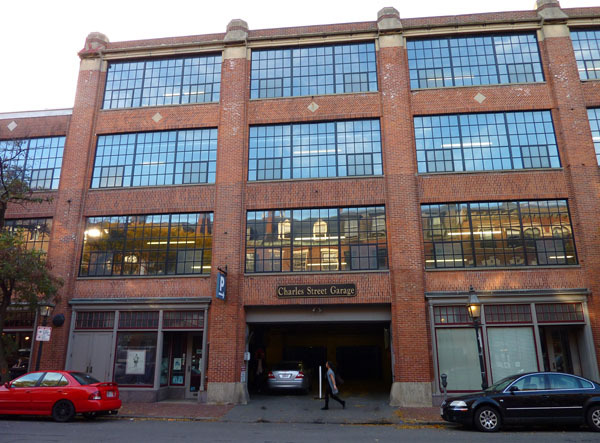 The garage shown below is in Boston’s Beacon Hill neighborhood, and isn’t it the most adorable thing? Excited yet? Yes, it’s lipstick on a pig, but unlike so many garages in downtown Seattle, at least it isn’t a total F.U. to the city. Boston, like every U.S. city, also has it’s share of heinous parking garages. But in Seattle, downtown looks as if the City sponsored an ongoing heinous parking garage design competition back in the 1970s. It’s remarkable that there wasn’t more uproar over how soul-crushing these structures are; or if objections were raised, how they were so easily ignored by those who stood to profit. Blame it on “Wild West” mentality. 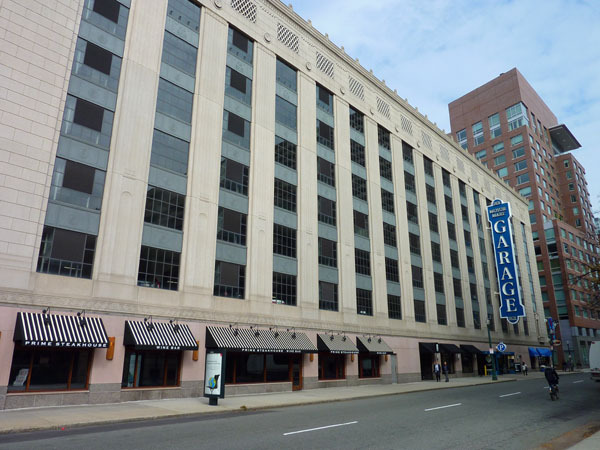 Compared to Seattle, Boston has far more deeply-rooted architectural and urbanist traditions that helped put a check on the infatuation with “progress” and the city-gutting march of the cult of the automobile (though of course not all battles were won). It’s the real kind of conservatism: the past and its connection to the present is valued—an essential balancing force in the development of any healthy culture. But the West has always been more dominated by the laissez-faire mindset. Seattle’s historic midrise brick buildings were like swaths of old growth Douglas fir prime for exploitation, and the garages that were left in their place are about as beneficial to a true city as a wasteland of clearcut stumps is to a forest ecosystem. Today we are still building hulking parking garages, but we usually try to do a better job with the lipstick—we put green roofs on them, for example, and even award them green building certification. And while these are positive steps, they don’t negate the fact that in terms of sustainable urbanism, parking garages are rotten at the core. Sacrificing our precious urban land and economic resources to buildings with the sole purpose of part-time car storage degrades the pedestrian realm, reinforces car-dependence, and ultimately moves the city in the wrong direction. 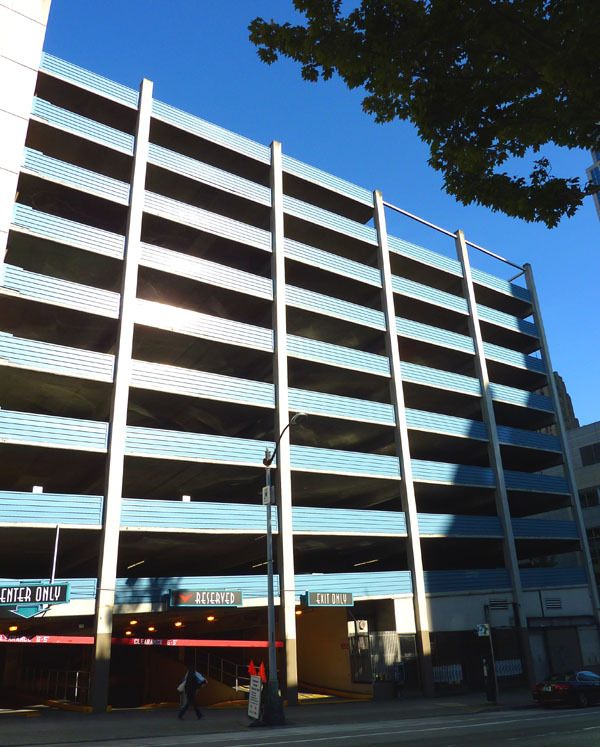 The simple solution: ban above-grade parking structures. And then start incentivizing redevelopment of the mess of city-soul-sucking abominations that are already on the ground. Which mayor’s race does the following describe? [Both candidates] want the same things: better schools, improved public safety, sustainable economic development, accessible parks, affordable housing, livable neighborhoods. To win the November 3 election, both candidates may go so far as to endorse motherhood — perhaps, if the polls get really close, apple pie. Seattle’s, perhaps? Or pretty much any large North American city’s, it would be safe to say, no? If you’re up on your nation’s most shameful public spaces, then you can guess the right answer based on the location shown in the photo above. Yep, it’s Boston, where Tom Menino is running for a record fifth term against veteran city councilor Michael Flaherty. Over at the east end of I-90, the city’s “respectable” newspaper has endorsed the establishment candidate, while the biggest weekly has endorsed the challenger who is perceived as a change agent. Sounds familiar, but in Boston’s case we’re talking about the famously liberal, New York Times-owned Boston Globe, that published a nuanced, fact-filled endorsement weighing in at 1066 words. Oh, and the Seattle Times also endorsed Susan Hutchison for King County Executive. You knew that, but for the sake of the children, it needs to be said over and over again. 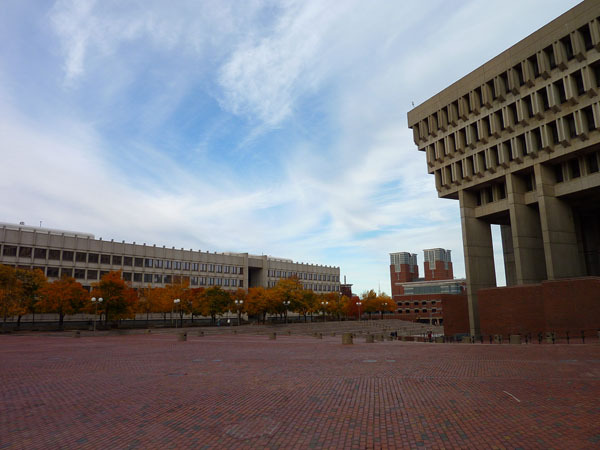 One position on which the Boston candidates differ is the role of the Boston Redevelopment Authority, the very organization that facilitated the Boston City Hall “urban renewal” project back in the 1960s. Flaherty—the change candidate—advocates taking power away from the BRA to make it more responsive to neighborhood concerns. In contrast, here at the west end of I-90, the change agent we need is a leader bold enough to create an organization like the BRA so we can actually get something done in this city. As in, transformational public investment and redevelopment at our pathetic excuses for light-rail station areas. And no, the complex, human-scale, walkable urban fabric that was destroyed by the Boston City Hall project is not the same thing as the auto-centric mess that engulfs the Mt. Baker light rail station. An organization like the BRA can be a force for good, especially if embedded in a culture like Seattle’s that respects the relationships between urban form and community, a respect that has manifested itself, for example, in a city hall that is the polar opposite of Boston’s.